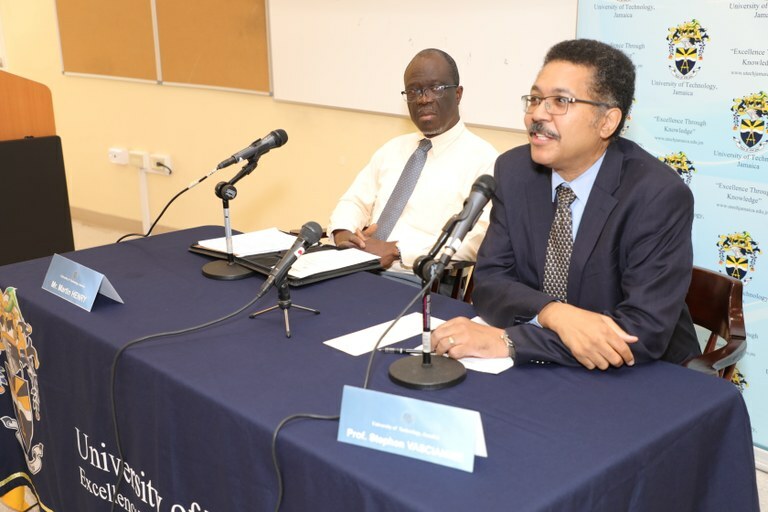 University of Technology, Jamaica Establishes Press — UTech, Ja. The University of Technology, Jamaica on Thursday, February 22, 2018 officially launched the University of Technology, Jamaica Press at a ceremony hosted by President, Professor Stephen Vasciannie, CD at the new Shared Facilities Building, Papine Campus. Looking on (at left) is Mr Martin Henry, Manager, Projects and Operations in the School of Graduate Studies, Research and Entrepreneurship and Project Manager for the newly established Press. The University of Technology, Jamaica on Thursday, February 22, 2018 officially launched the University of Technology, Jamaica Press at a ceremony hosted by President, Professor Stephen Vasciannie, CD at the new Shared Facilities Building, Papine Campus. Members of academic and administrative staff from across the University’s colleges and faculties turned out to witness the historic launch of the University’s Press which commenced operations on February 1, 2018. It is anticipated that the Press will provide an avenue for lecturers and other members of staff to publish the results of their research, and to produce works that will bring together established as well as new knowledge. Mr. Martin Henry, Manager, Projects and Operations in the School of Graduate Studies, Research and Entrepreneurship has been tasked as Project Manager for the UTech, Jamaica Press, with an 11- member Editorial Advisory Board comprising staff drawn from faculty and administration. Members of the University of Technology, Jamaica Press Editorial Advisory Committee pose for a group photograph following the official launch ceremony held on Thursday, February 22, 2018 at the Shared Facilities Building. 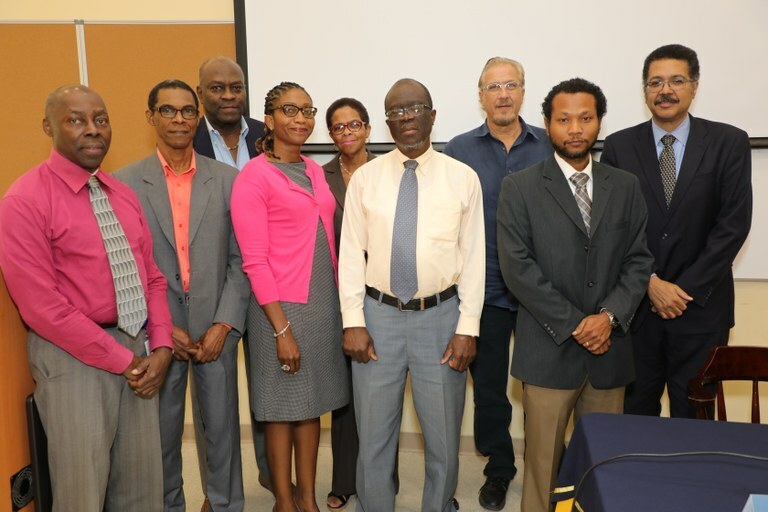 Front row from left are Mr Hector Wheeler, Professor Vernon Buchanan, Dr. Kamilah Hylton, Mr. Martin Henry and Dr. Andrew Lamm. Back row from left are Professor Fitzroy Henry, Dr. Marcia Williams, Dr. Martin Schade and Professor Stephen Vasciannie.